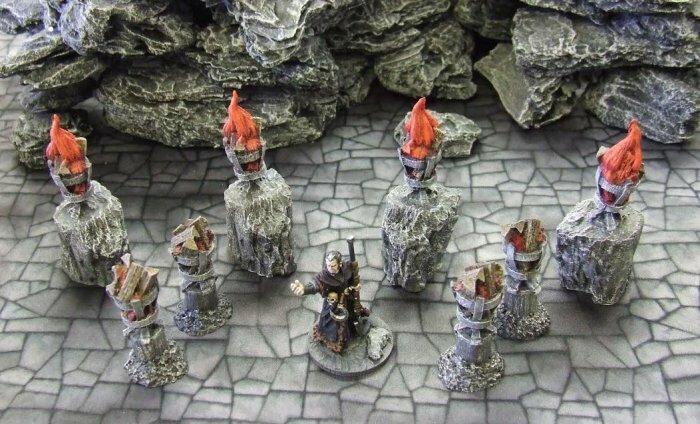 These highly detailed and scale appropriate Braziers Pack will enhance any gaming scenario. They come in various shades of grey highlighting with multi tones of red to give the impression of 4 glowing braziers and 4 flaming braziers. The flaming braziers are mounted on rock plinths which complement our various Rock and Boulder Packs.